to approximately 200 boys and girls (ages eight through fourteen) from the inner city. To introduce them to Christ and to help them know His love and the glory of His creation. Traditionally, teenagers search for significance away from home and parents. Due to the deterioration of the family unit and the resulting lack of a significant father figure in many inner city homes, teens have turned to gangs to fulfill their social and emotional needs. Moreover, they conform to the accepted practices and beliefs of their peer subculture. They learn what they are taught. 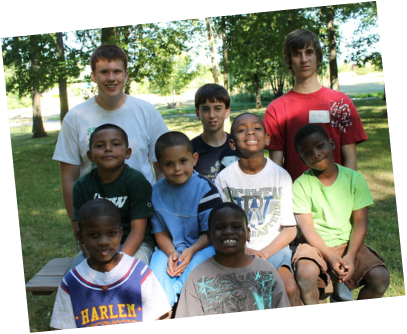 A Christ-filled outdoor camp experience can be instrumental in turning lives around. 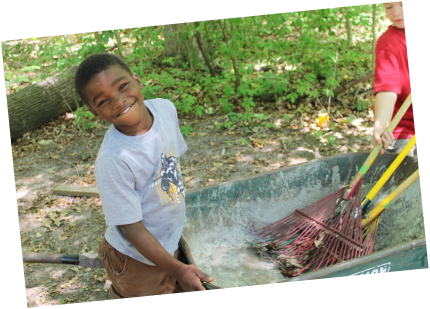 Camp can help meet the needs and teach the campers how to find fulfillment in a positive way without drugs and violence. More importantly, the outdoor experience provides an excellent environment for the camper to come to a deeper understanding of who God is and what He has done for us. Guiding a child as he learns that he can conquer the fears that accompany new experiences gives him the confidence to make difficult but healthy decisions later in life. The isolation and unfamiliarity of StillWater Retreat allows a greater acceptance of the positive moral principles we teach and model. We have their attention. For some it could be the chance for them to understand the dangers that lay ahead for them as they enter the teenage years. 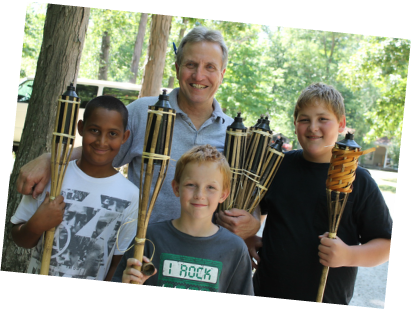 Through innovative Bible lessons throughout the day and memorable devotions around a campfire at night, the campers have the opportunity to connect with God. Most of the campers make a personal commitment to Christ while at camp. Counselors are trained to create a positive and structured environment with their teams. Life-skills are taught by example, class instruction and group discussions. Instructions in conflict resolution are applied throughout the day. Each evening at chapel, campers and staff are given a chance to express regret over any reckless word or deed that might have offended another through the day. Reconciliation with the offended party usually follows. 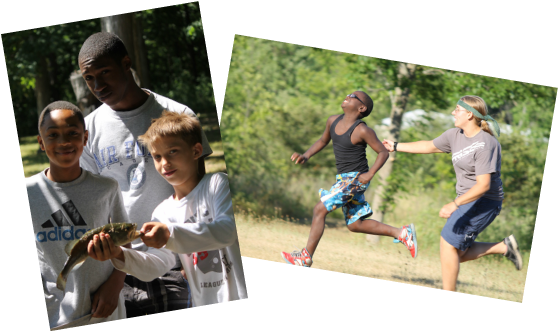 Team building games, challenge courses, swimming in the camp pond, and hay rides introduce the young men to new ways to have fun. Fishing clinics conducted by local “anglers” show the boys not only how to catch the big one, but uses fishing to teach the campers how we can be tricked into biting at “bait” that will eventually trap us. help them experience the joy one feels after a job well done. Work is rewarded with tokens that can be spent on extra activities or items from the camp’s store. Our staff are led to spiritual growth and to lead others into a personal relationship with Christ.